You conducted dozens of interviews and were excited about several applicants. You made a pretty amazing salary offer to your top candidate – and then found out they rejected your offer. Among other things, it could be your benefits package. If you’re shaking your head because you already offer health insurance, hold on. 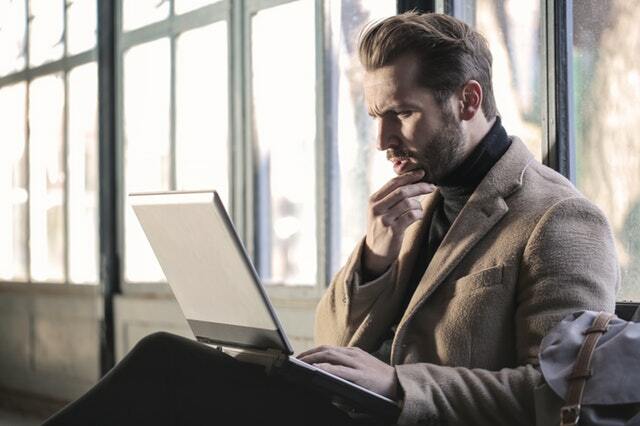 It could be the cost of your insurance, the insurance plan itself, or your total benefits package, as different candidates are attracted to different types of benefits. What does a benefits package include? Generally speaking, benefits have expanded to include other medically-related plans beyond health insurance, such as dental, vision, life, disability, and flexible spending. But they also include perks not necessarily related to a doctor’s visit, such as retirement, paid time off, flexible work arrangements, technology, wellness programs, pet insurance, pre-paid legal, maternity, adoption assistance, supplemental plans, and more. Since 96% of Millennials say they are motivated by a better health plan, you should start first with health insurance and then think beyond to develop your total benefits package. How do I afford health insurance? Partner with a PEO. Companies that partner with a Professional Employer Organization (PEO) provide their employees with instant access to all the benefit plans the PEO offers, such as health, dental, vision, life, 401(K), flexible spending, and more. That means that a small business doesn’t have to go out and get bids for their own small group. What sweetens the deal even more is that these benefits are available at economies-of-scale pricing, just by partnering with the PEO. Offer a Qualified Small Employer Health Reimbursement Arrangement (QSEHRA). Another option is to offer employees a QSEHRA, which allows small employers to reimburse employees for their medical expenses when they provide proof of coverage of their own individual health plan. To qualify for this option found in Sec. 9831(d) of the IRS code (“The Cures Act” enacted Dec 13, 2016), your company must have fewer than 50 full-time employees and cannot offer group health insurance. Join an Association Health Plan. As of June 19, 2018, small businesses can band together by industry or geography to form an Association Health Plan. Grouping multiple businesses together helps spread the risk, which typically provides better health insurance rates for employees of small businesses. What non-traditional benefits should I add to my benefits package that won’t cost much? An unlimited PTO plan will make your company much more appealing to high performers who value time off. Flexible work schedules will enable employees who are juggling family and personal obligations to maintain a healthy work-life balance. Allowing employees to bring a pet to work may alleviate stress and anxiety for animal lovers afraid to be away from their fur babies for too long. Cool technology, such as a mobile app, makes you appear cutting edge to a technology-driven workforce and satiates the need for self-service and instant answers. Retirement and supplemental plans may be available through a PEO. Do your homework to learn about several PEOs’ offerings and which fees (such as nondiscrimination testing and 5500 filings) are absorbed by the PEO. Keeping valuable employees happy, healthy and ready to work is always the best (and most affordable) option. For more hiring tips, download our free guide, Competitive Hiring for Small Businesses, or contact our HR experts at HR@stratus.hr. Looking for more small business hiring tips? 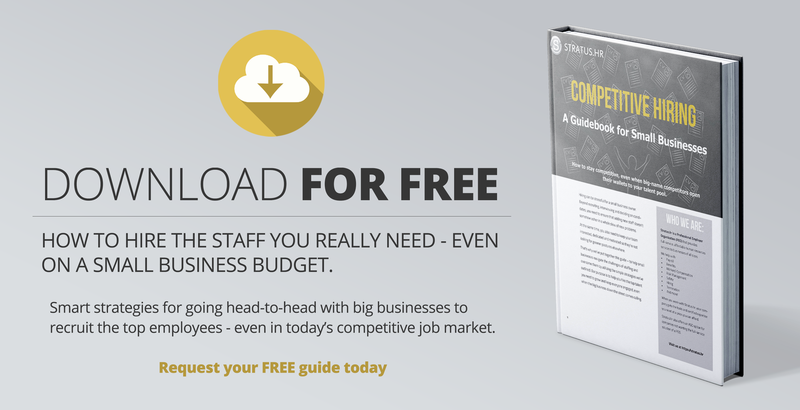 Download our free guide!